Jordan-based STS, a leading provider of comprehensive information technology (IT) solutions, said it has signed an agreement with Nuqul Automotive to deploy its cloud customer relationship management (CRM) as a service. The unique STS Cloud CRM as a Service was customized to cater to the needs of the automotive industry and more specifically to Nuqul Automotive’s standards and requirements, said a statement from the company. In addition, the cloud solution enables users to access the various internal communication channels via a single platform; create, execute and track marketing campaigns; and coordinate between the marketing and sales teams, it added. 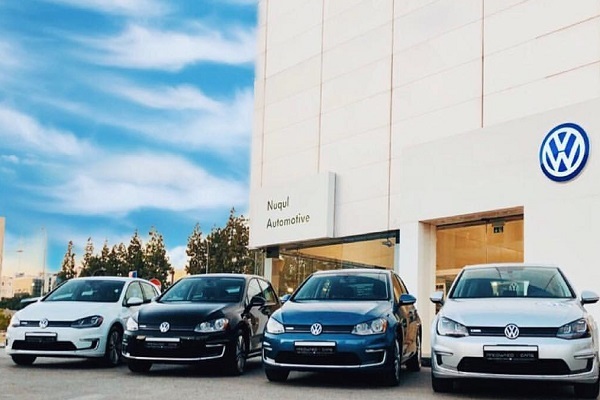 The solution aims to assist the car distributor in analysing the data of existing and new customers, while enhancing the quality of extended services, said Mohammad Adnan, the general manager of cloud and advanced solutions at STS, after signing the deal with Imad Hanania, the general manager of Nuqul Automotive. Leveraging smart reporting capabilities, STS Cloud CRM as a Service boasts a comprehensive and integrated customer database - including a detailed analysis of behaviors and preferences, xstated Adnan. As part of the solution, STS also offers an in-built support hub to help Nuqul Automotive employees access work data around the clock, as well as a mobile application that permits real time data updates, anytime and anywhere. Furthermore, STS Cloud CRM as a Service presents Nuqul Automotive with a clear overview of leads, detecting new opportunities, analyzing marketing campaigns and keeping users in full control of their data, said the top official. "Our collaboration with Nuqul Automotive is testament to the technological advancements of our cloud solutions. As we look to support various local sectors, this step marks our first entry into the automotive industry," stated Adnan. "We are confident that STS Cloud CRM as a Service will add great value to Nuqul Automotive, revealing new opportunities, elevating customer experience and facilitating follow-up on all details related to the decision-making process via one integrated platform," he added. For three decades, STS has led the market in the provision of diverse IT solutions. Based in Jordan with offices in Saudi Arabia, UAE, Bahrain, Palestine and Iraq, and with its longstanding partnerships with industry pioneers such as Cisco, DellEMC, IBM, Microsoft, Oracle, Corning and others, STS has positioned itself as a key player in the digital transformation of the IT sector, stated the top official.